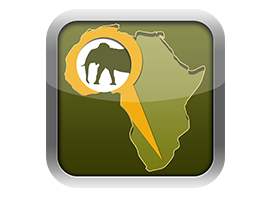 Together with MapStudio, Polymorph has launched a brand new innovative wildlife app on the iTunes App Store. ParkSpotter Africa is the first application of its kind to not only spot and share wildlife and fauna sightings on social media, but also photograph, identify, save and share sightings according to geo-location, date, time and categories to create a personal record of sightings.ParkSpotter Africa promises to help any park visitor explore, learn and share their nature adventures in a much more interesting, exciting and long-lasting way. With the exception of the updated sitings you don’t need internet to access the app. The detailed park maps, park-specific fauna and flora checklists, well-researched information on species and striking visual content are stored on the phone itself.Currently the app comprises of five Southern Africa parks including: Kruger National Park (North), Kruger National Park (South), Etosha National Park, Kgalagadi Transfrontier Park and the Addo Elephant National Park, with many more parks to be released in the near future.